Cancer patients need to understand the danger of vitamin C deficiencies—especially when looking to overcome a cancer diagnosis. In truth, most people suffering with a chronic degenerative disease are vitamin C deficient. Sadly, this is a fact that Western medicine refuses to recognize due to the influence of the pharmaceutical industry. Over 40 years ago, Nobel laureate Linus Pauling and Ewan Cameron, MD, a Scottish cancer surgeon, demonstrated the effectiveness of 10,000 mg of vitamin C, per day, to reverse cancer in thirteen patients—that were left to die by conventional medicine. Vitamin C interacts with iron and other metals to create hydrogen peroxide. In high concentrations, hydrogen peroxide damages the DNA and mitochondria of cancer cells, shuts down their energy supply, and kills them outright. Best of all—and unlike virtually all conventional chemotherapy drugs that destroy cancer cells—it is selectively toxic. No matter how high the concentration, vitamin C does not harm healthy cells. The only way to get blood levels of vitamin C to the concentrations required to kill cancer cells is to administer it intravenously. Our body is only able to absorb limited amount when taking high dosage of this vitamin orally, i.e. 10g (10,000mg). Only half of this will be absorbed, and you would get a serious case of diarrhea. Intravenous administration, however, gets this mega dose directly into your bloodstream for immediate use. 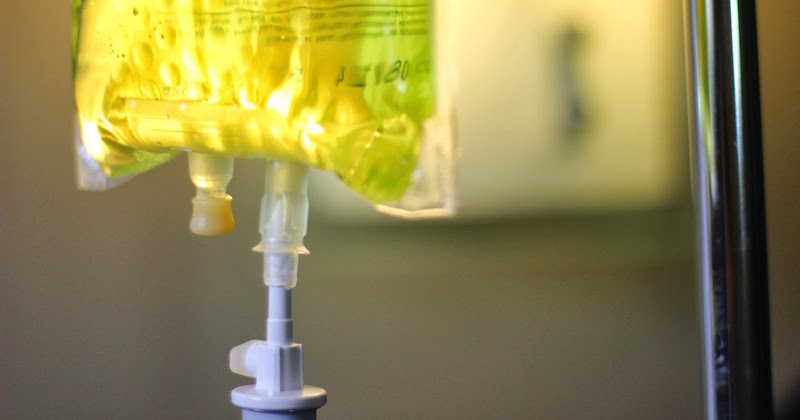 For example, 10g of IV vitamin C raises blood levels 25 times higher than the same dose taken orally, and this increases up to 70-fold as doses get larger. Excited about the healing power of vitamin C, Linus Pauling went to the National Cancer Institute, where he was systematically ignored and ridiculed. To this day, if you visit any cancer-related website (controlled by the pharmaceutical industry)—especially the American Cancer Society—you’ll discover a complete lack of honesty about the effectiveness of vitamin C for cancer patients. This deliberate attempt to brainwash society—including unsuspecting medical professionals—creates the false paradigm that surgery, chemotherapy and radiation is the only “reasonable” approach to treating cancer; yet, nothing could be further from the truth. But, thanks to the growing popularity of functional medicine, integrative therapies and orthomolecular oncology—the word is getting out: vitamin C CAN help cancer patients in significant ways. Are you kidding me? A recent search, in PubMed, reveals well over 50,000 studies on vitamin C and literally dozens of remarkable studies revealing the power of vitamin C to cure diseases, such as, 60 out of 60 cases of polio; 327 out of 327 cases of shingles—in 3 days; 7 out of 7 cases of rheumatic fever and, of course, countless studies illustrating the ability of vitamin C to help cancer patients with “incurable” conditions. Ignoring this truth ought to be classified as a criminal behavior by Western medicine. The conventionally-trained medical community does not want you to learn the truth about vitamin C.
Ronald Hunninghake, M.D. is the Chief Medical Officer of the Olive W. Garvey Center for Healing Arts, the clinical division of the Riordan Clinic. A 1976 graduate of the University of Kansas School of Medicine, Dr. Hunninghake has devoted his career to the emerging paradigm of “Self Care: The patient as an informed medical partner“. From the first days of medical school, he has sought to find new ways of encouraging his patients to take better care of themselves, form new and sustainable habits of health, and to assume greater responsibility in their own health care. He was named the 2011 Orthomolecular Doctor of the Year by the International Society for Orthomolecular Medicine and is a 2013 inductee into the Orthomolecular Hall of Fame. Get: 5 juice recipes with high dose of vitamin C for cancer prevention. The Truth About Vitamin C Is Revealed! Despite the lies and scientific fraud, people are waking up to the power of high dose vitamin C to promote healing. One of the most powerful antioxidants on the planet, vitamin C helps to destroy cancer cells and boost immune function—at the same time. This article was originally published on NaturalHealth365.com. It is republished here with permission. How do you know where to go for the injections? I have stage 4 cancer. Hi Cynthia, you can google a Naturopath in your area that offers vitamin C IV and you might find something. Please then consult the Naturopath doctor about your condition. All the best!